When you think of Valentine’s Day, you probably don’t think about estate planning, but we do! We see the depth of our clients’ love for their families everyday as they put an effective plan together — a plan from which they may never see the benefits. A plan that will give their loved ones peace at a time of great loss and grief. It provides protection at every stage of the game. You’ve worked to protect your children throughout their life — when they learned to walk, when they learned to drive, even after they moved out. Creating an effective estate plan is another way we can protect our kids. It makes sure nothing important gets lost in the shuffle. You may have IRAs, multiple insurance policies or other assets that children know nothing about. It is incredibly stressful, after the loss of a loved one, to run around, playing detective, trying to gather necessary information about these things. It’s likely the largest financial gift you’ll ever make. You want to get it right. Even if you don’t think you have much of an “estate,” if you own a house, then you have an estate to pass on. Bad estate plans (or no plan) make big messes for those left behind to deal with. 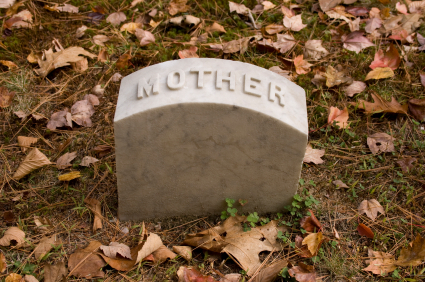 Without planning, your estate could cause great hardship. 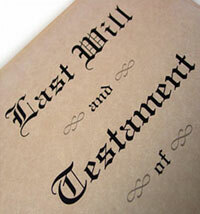 In Illinois, if you die without a will, your estate will be split 50-50 between your spouse and kids. This means that your wife could be prevented from selling the house because the children won’t agree to it. You can still watch out for that wayward child. It’s really difficult when our children don’t make the choices we’d like them to make for themselves. It causes everyone a lot of heartache. Creating a trust for a child like this can bring a deep sense of peace. Long-term Care Planning takes the burden off your family. The last decade of life is one of the most stressful times in the human lifespan. There is nothing harder for a child or family member than not being able to provide care for a loved one when the time comes. It takes the guesswork away. It is very difficult to be grieving the loss of a loved one (or the catastrophic illness of a loved one) all the while not knowing if you are making the decisions they would want made. Good planning prevents guilt and emotional conflict between siblings or family members. If you’ve been putting off planning because of the hassle or the cost, we encourage you to take a step toward protecting your loved ones today. You’ve already taken at least one step by learning more in this post. Next, we encourage you to schedule an Initial Meeting by calling 217-726-9200 to RSVP. 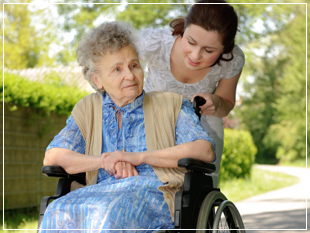 We also understand that time is of the essence if you have a loved one who is facing a nursing home or already in a nursing home. In that case, we urge you to call us right away at 217-726-9200 and one of our Elder Care Advisors will be more than happy to speak with you about your urgent situation. A recent survey on estate planning found that 74% of those surveyed thought estate planning was a confusing topic. That’s no surprise considering estate planning has a language all its own. Today, we’ll sort out the difference between a Will, a Living Will and a Living Trust — three separate estate planning tools with similar names, but different roles to play in your planning. This is what people commonly refer to as a “Will.” It is the most popular estate planning tool. This legal document is used to determine where assets go and who is in charge (the executor) after you die. Until you die, your Will and your executor do not have any legal authority. Wills often must go through the time and expense of probate court. A Living Will states your end of life wishes, such as when to “pull the plug.” This document reduces stress and confusion for your loved ones. It gives guidance to the person serving as your healthcare power of attorney. This is the person who ultimately decides when to stop treatment and let you go, if it becomes necessary. To continue learning more about the unique language of estate planning, click here to read “What’s the Difference Between a DNR and a POA?” To learn more about Wills and Trusts, check out the dates for our upcoming workshop, “Wills & Trusts: How to Get Started”.